Contributing to the identification of polluters. The CleanSeaNet service is based on the regular ordering of Synthetic Aperture Radar (SAR) satellite images, providing night and day worldwide coverage of maritime areas independent of fog and cloud cover. Data from these satellites is processed into images and analysed for oil spill, vessel detection and meteorological variables. 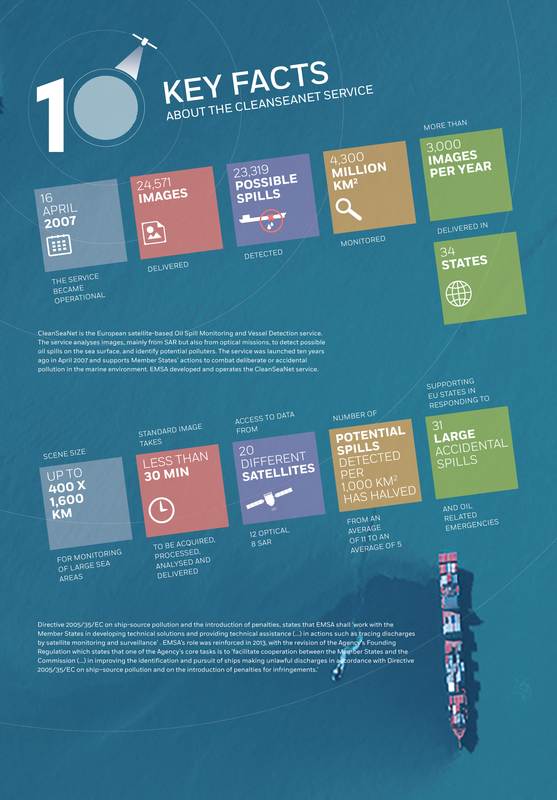 The information retrieved includes among others: spill location, spill area and length, confidence level of the detection and supporting information on the potential source of the spill (i.e. 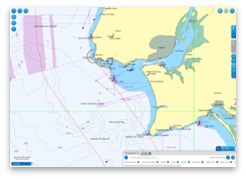 detection of vessels and oil and gas installations). Optical satellite images can also be acquired upon request, depending on the situation and user’s needs. In co-operation with users, EMSA’s EO team plans and orders satellite imagery to meet their service coverage requirements. 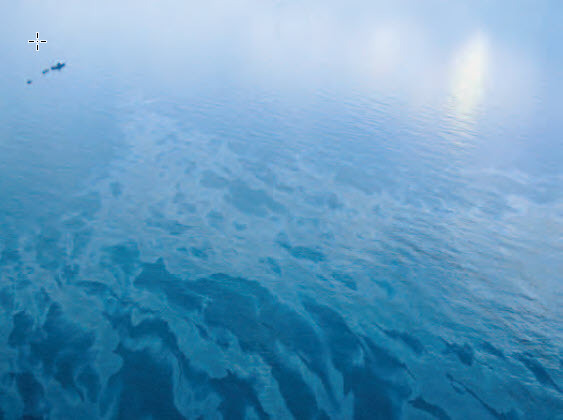 After image acquisition trained operators assess the images, together with supporting information (meteorological, oceanographic and ancillary information such as AIS and vessel detection) to identify possible pollutions, to determine the likelihood of the presence of oil on the sea surface and to assist in identifying the source of the pollution. 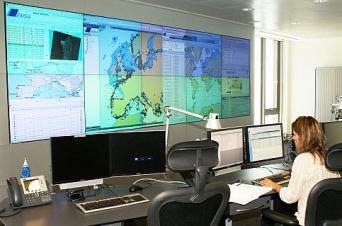 When a possible oil spill is detected in European waters, an alert message is sent to coastal States. Analysed images are available to national contact points in near-real time and are sent to the national authorities who then follow up on the alert report. CleanSeaNet’s near-real time service capabilities are crucial to a rapid response by coastal states as well as to increase the likelihood of catching the polluter red-handed. In case of oil spill related accidents or emergencies the affected coastal State can request additional satellite images to monitor the spill area over an extended period of time, capturing the evolution of the spill and supporting response and recovery operations. The CleanSeaNet service is available to all participating States including EU Member States and their overseas territories, candidate countries and EFTA Member States. Each coastal State has access to the CleanSeaNet service through a dedicated user interface, which enables them to view ordered images. Users can also access a wide range of supplementary information through the interface, such as oil drift modelling (forecasting and backtracking), optical images, and oceanographic and meteorological information.